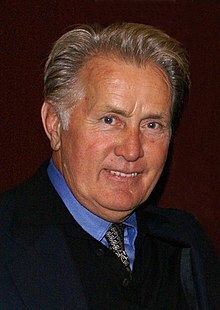 Ramón Gerardo Antonio Estévez (born 3 August 1940), more famous under his stage name Martin Sheen, is an American actor and social activist. He is the father of actors Emilio Estevez, Ramón Estevez, Carlos Irwin Estevez (Charlie Sheen), and Renée Estevez. Once you follow a path of nonviolence and social justice, it won't take you long before you come into conflict with the culture, with the society. On his activism in social justice and peace issues. If you have an awareness that your life is not full and that you are not yourself, that is the beginning, I think, of the journey toward spirituality. I don't have a clue what God is; I really don't. I would never, ever and tell anyone what to look for. The only thing I would say is: the journey to spirituality is the journey to your own humanity. The more human you are, I think, the more godlike you are. And that is the genius of God. When a life is at stake and it's your child, you become fearless in a lot of ways. I mean, you jut become fanatic. Nothing ever gets done unless it's done by a fanatic. United States v. Algeria (23 June 2010), 2010 FIFA World Cup.